Are you looking for a luxury SUV that marries style, convenience and space? Look no further than the new Mercedes-Benz GLE 350. Fulton County drivers, from Alpharetta to Johns Creek, GA, appreciate the quality craftsmanship of this SUV’s interior, with a spacious cabin and plenty of rear-seat legroom. The new Mercedes-Benz GLE 350 is not only stylish, but safe as well. Features like a forward collision warning system, rearview camera, front-seat side and side curtain airbags and traction and stability control come standard to keep you and your family protected on the road. In fact, the new Mercedes-Benz GLE 350 received the 2017 IIHS Top Safety Pick+. 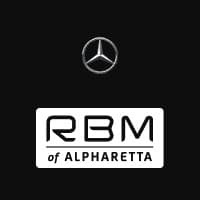 At RBM of Alpharetta, we know that our customers expect a world-class driving and car-buying experience. That’s why we’ve made it the mission of our dealership to help each car buyer find the vehicle that meets their needs. Contact us to schedule a visit to our showroom and test drive the new Mercedes-Benz GLE 350 today.